This safety sealed, seven day blister case fits conveniently into a purse, briefcase or suitcase and is designed for the active elderly. 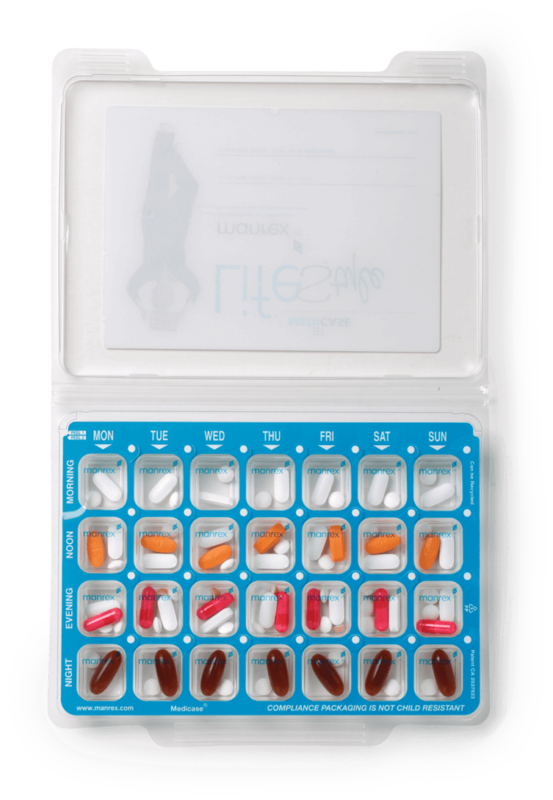 It is safe, portable and will help ensure the medications are taken correctly wherever their busy schedules take them. 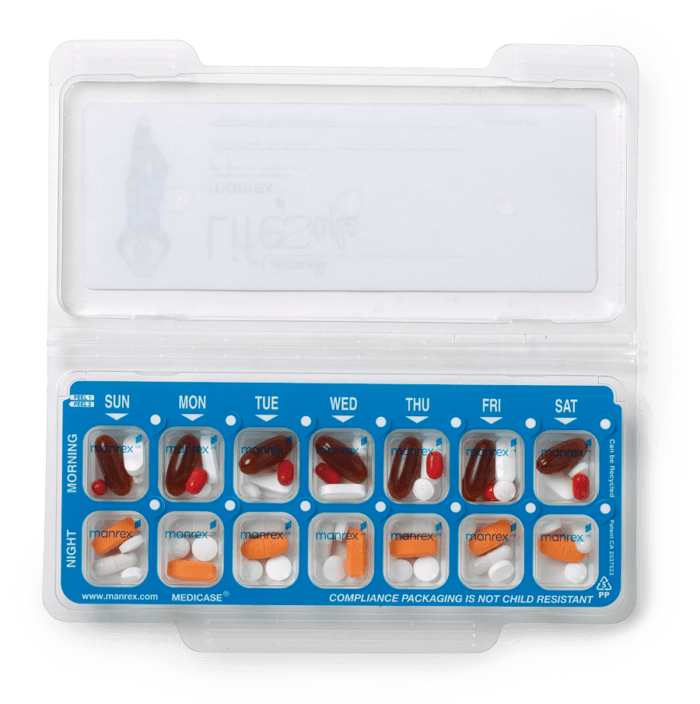 It has a safely seal over each and every medication compartment, with an easy to peel tab, which ensures the medications remain securely in place until released by the patient. It has a protective cover that closes over the case to provide protection of the safety seal during handling or transport. 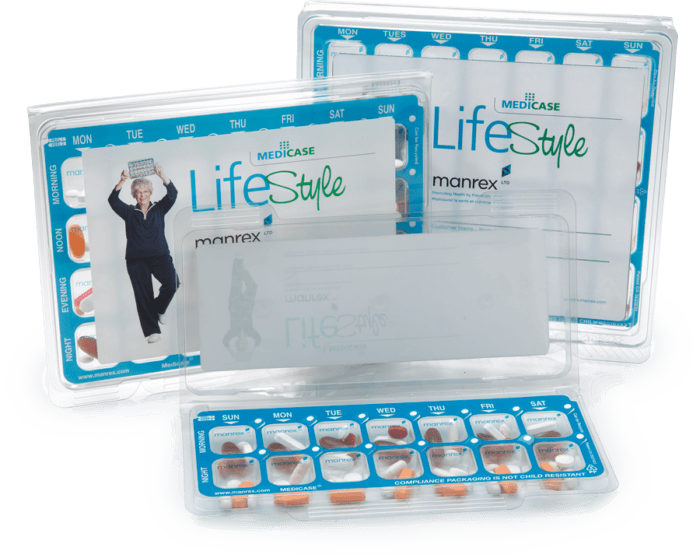 The client never needs to worry about spilling medications or damaging the packaging while on the move. When the unit is empty it is completely disposable/recyclable. No heat sealing equipment is required. The protective cover also acts as an area for patient labeling. Roller used to ensure the seal is securely fastened to the case during the sealing process. Platen for holding the case during sealing and filling.